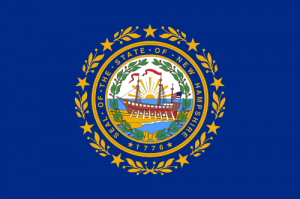 Pray for all the resources and creativity needed to fulfill the intentions of God in the state of New Hampshire. State Information: One of the original 13 states (it entered the Union in 1788), New Hampshire was named after the English county of Hampshire. New Hampshire is called the “Granite State” because of its numerous granite quarries; the nickname may also reflect the state’s attachment to tradition and its history of a frugal government. There are no general sales or individual income taxes, which fits with the state motto of “Live free or die.” A relatively small state, New Hampshire plays a major role every four years in the presidential election, as it holds the first primary election. New Hampshire’s state bird is the purple finch and its capital is Concord. I pray that this beautiful state realize that we need more industry for people to be able to support themselves. We have so many impoverished and underemployed residents in the south west portion of the state, with the town of Winchester, NH being a real hot spot of need. We also need prayers for these families, as the pressure of economic insecurity threatens so many families very structures.